What are some of the symbols of the New England Patriots franchise? 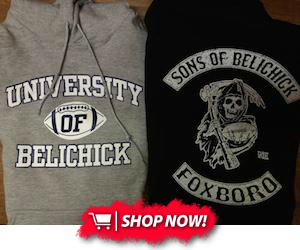 The flying Elvis logo, Pat the Patriot, Tom Brady's good looks and coach Bill Belichick's grey hooded sweatshirt. For the last decade, Belichick has donned different sideline looks. The visor covering his disheveled hair and his headband with the "NE" logo. 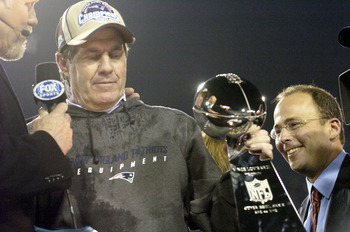 But his grey hoodie with cut-off sleeves has been a symbol of the Patriots' dynasty. As we all know, Reebok is no longer the sponsor for the NFL, and with that comes new sideline apparel. 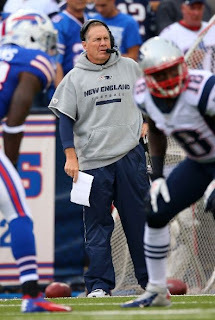 Belichick no longer wears his Reebok hoodie with "New England Patriots Equipment" emblazoned across the crest. The Nike model is a lighter shade of grey, with a larger Patriot logo and reads, "New England Football." Coach B wore it last week against Buffalo and it's even been featured in a Bud Light commercial. 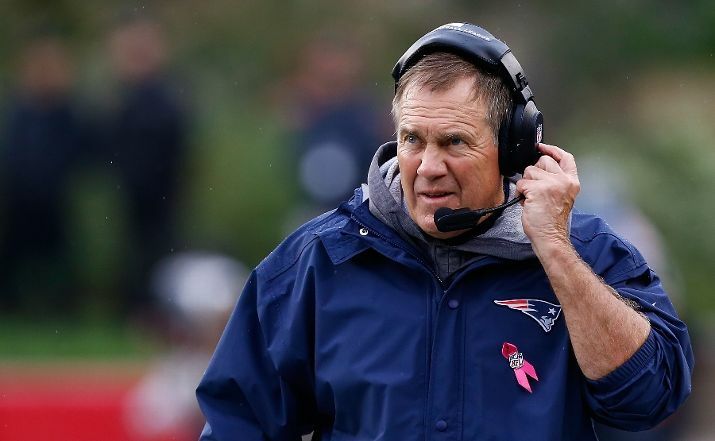 With rain in Foxboro yesterday versus the Broncos, Belichick wore a blue jacket, but underneath the coat, it looks like he's wearing a throwback hoodie. Upon further review, beneath the navy blue jacket, Belichick seems to be wearing his old Reebok grey hoodie. Look closely at the photo and compare it to old reliable.